The Best Call Center Blogs from thousands of Call Center blogs in our index using search and social metrics. We’ve carefully selected these websites because they are actively working to educate, inspire, and empower their readers with frequent updates and high-quality information. Call Center newsletter is a comprehensive summary of the day's most important blog posts and news articles from the best Call Center websites on the web, and delivered to your email inbox each morning. To subscribe, simply provide us with your email address. About Blog Call Centre Helper is the UK's most popular call centre magazine. It is a free, online weekly magazine aimed at giving call centre people up-to-the-minute advice on how to make their businesses work more effectively. Facebook fans 1,679. Twitter followers 12,248. USA & India About Blog Get the latest industry updates on Business Process Outsourcing, Ecommerce, Analytics and Technology through MK Insights to enhance your business processes. We provide best in class services including Contact Center Solutions, Back Office Operations, Consulting, and Speech Analytics for your contact center to enhance your business performance. Facebook fans 2,048. Twitter followers 588. Minneapolis, MN About Blog Innovators providing their spin on customer service, customer experience and the contact center. About Blog Ozonetel is a pioneer of cloud telephony solutions in India. Our cloud based telephony solutions includes cloud call center software,IVR system and customized communication solutions to suit specific business needs. Ontario, Canada About Blog Stay tuned to our blog for the latest news in the call center software industry. Get tips and tricks on how to optimize your call center operations! Facebook fans 148. Twitter followers 91. London Birmingham Manchester About Blog Dialer360 setup call center blog which is officially edited by dialer360 team. Helpful content for call center manager, agents, and voip lovers. Facebook fans 52. Twitter followers 24. India About Blog This blog covers the practical advice, latest developments, and trends in call center technology, cloud hosting, and cloud telephony. Facebook fans 126. Twitter followers 308. Plantation, FL About Blog Trending news and helpful information from the ChaseData Corp Call Center Software team. Facebook fans 143. Twitter followers 163. Paris, France About Blog Vocalcom provides unprecedented capabilities, flexibility and business impact in customer experience. Facebook fans 124,240. Twitter followers 34,255. NYC/Paris About Blog Aircall is Cloud-based phone system and call center software solution. The Aircall Blog covers Call center and customer experience related articles. Facebook fans 2,377. Twitter followers 3,542. Sugar Land, TX About Blog CustomerServ follows the latest BPO and contact center industry trends that impact you in order to find the right outsourcing partners. Facebook fans 1,290. Twitter followers 270. About Blog Freshcaller is the call center on the cloud for startups and small teams. Facebook fans 136. Twitter followers 127. Addison, Tx. About Blog Our blog stays on top of today's call center trends and technology. We update our feed regularly throughout the year and have the most relevant software & technology to the call center industry. Our business also provides innovative call center software to assist your business to make every call count. Facebook fans 677. Twitter followers 1,488. About Blog Tips, tricks, and inside information from answering service veterans on how to create a culture of professional, customer-focused voices. Facebook fans 1,771. Twitter followers 1,536. About Blog EBCallCenter.com offers professional Philippine Call Center & Telemarketing Services, Customer Support, Sales and Lead Generation. Facebook fans 8,747. Twitter followers n/a. Based in Beaverton, OR About Blog Independent Contact Center Consultants ready to help clients optimize their customer interactions. Pleasant Grove, Utah About Blog Check out our blog for regular articles discussing customer service, customer experience, outsourcing, phone etiquette, telemarketing, and more. Facebook fans 93. Twitter followers 95. Republic of Mauritius About Blog At Apollo blake, we provide tailored customer care and BPO solutions for businesses whose needs, services or products inherently require a specialized touch. Facebook fans 1,380. Twitter followers 40. About Blog TeamHealth Medical Call Center Blog offers articles relative to healthcare providers and healthcare call center services. Wellington, New Zealand About Blog Read Corporate Connect's blog for the latest news on technology, telemarketing, the role of the call centre and the trends that shape its future. Facebook fans 594. Twitter followers 6. 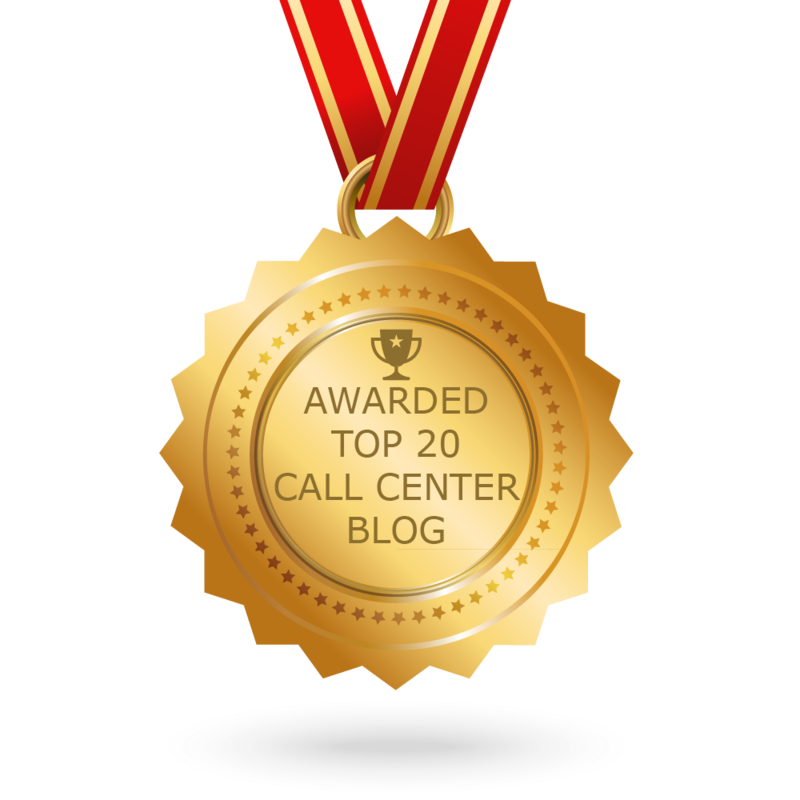 CONGRATULATIONS to every blogger that has made this Top Call Center Blogs list! This is the most comprehensive list of best Call Center blogs on the internet and I’m honoured to have you as part of this! I personally give you a high-five and want to thank you for your contribution to this world.